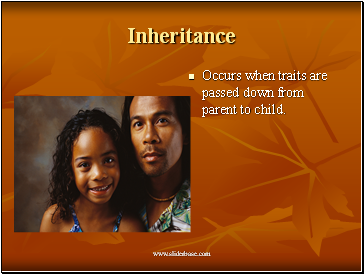 Occurs when traits are passed down from parent to child. 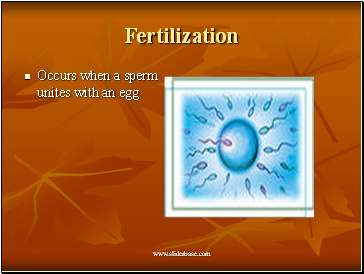 Bits of information passed down from parent to child. 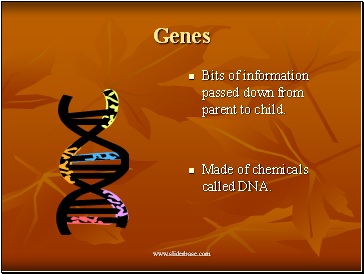 Made of chemicals called DNA. 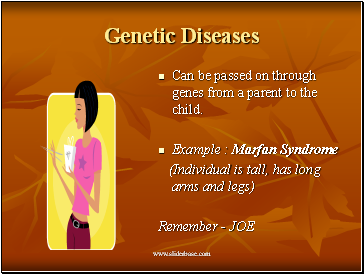 Can be passed on through genes from a parent to the child. 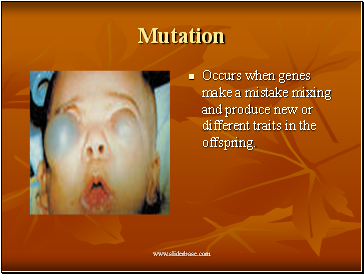 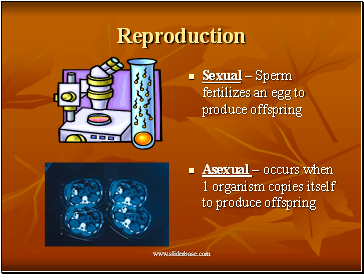 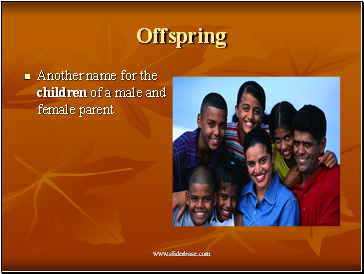 Occurs when genes make a mistake mixing and produce new or different traits in the offspring. 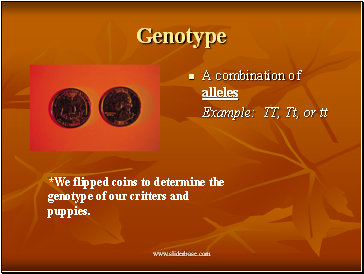 *We flipped coins to determine the genotype of our critters and puppies. 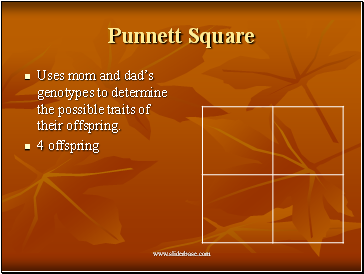 Uses mom and dad’s genotypes to determine the possible traits of their offspring. 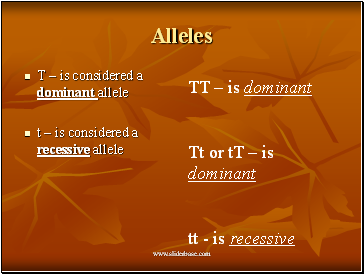 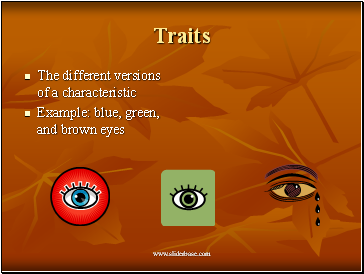 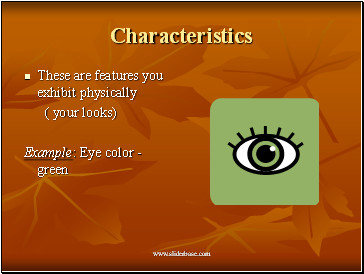 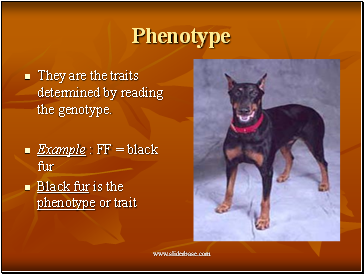 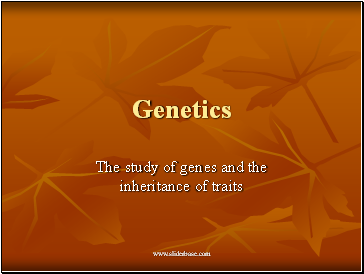 They are the traits determined by reading the genotype.